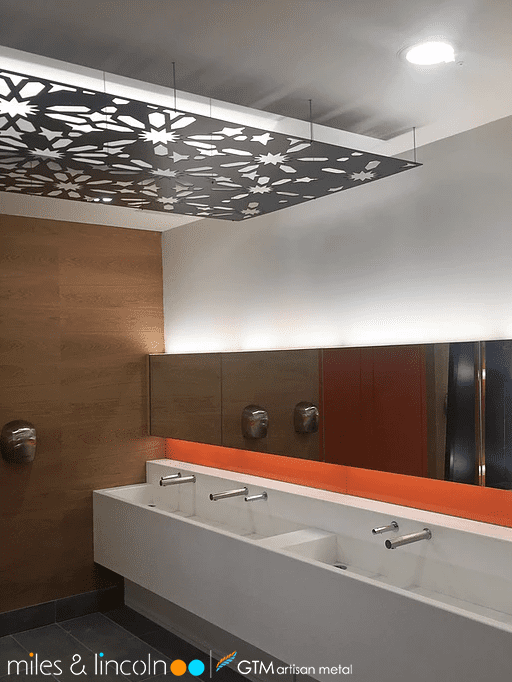 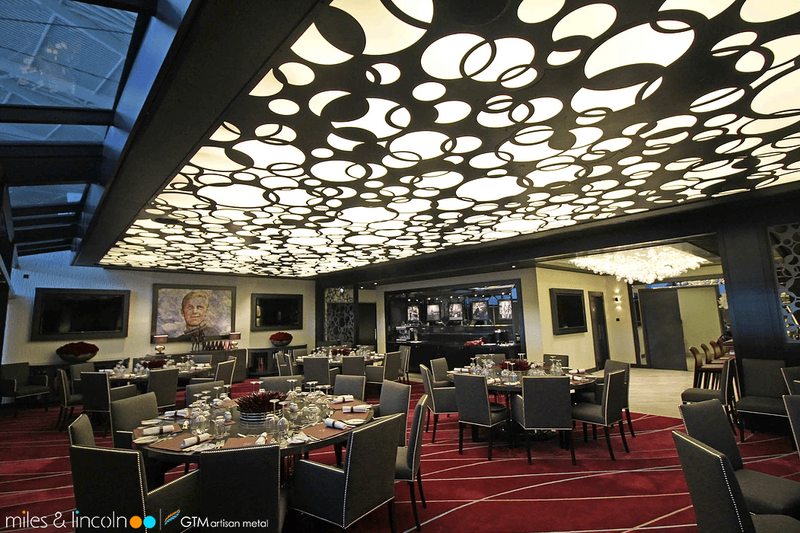 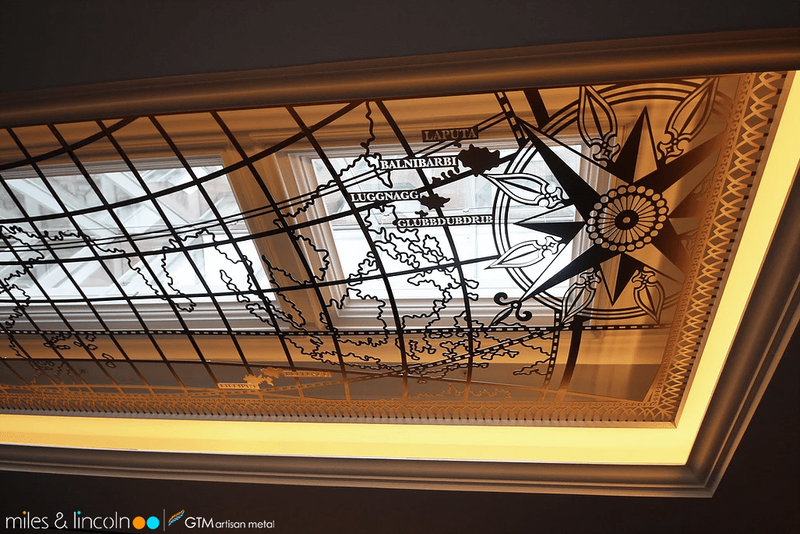 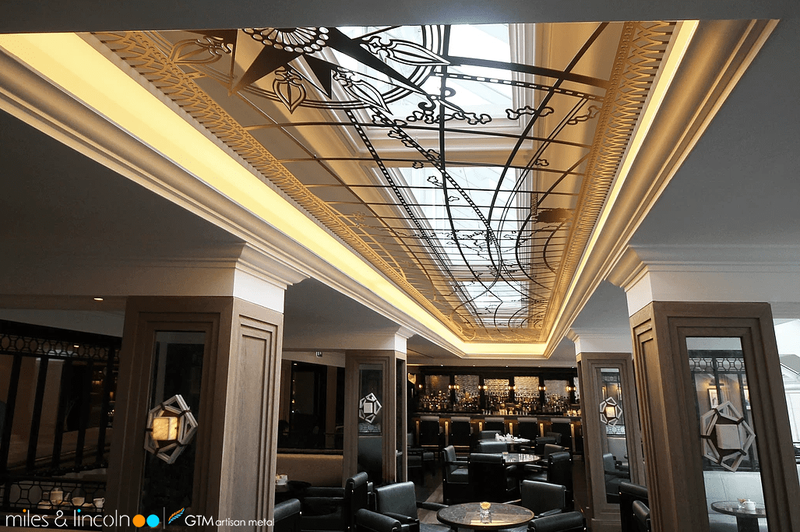 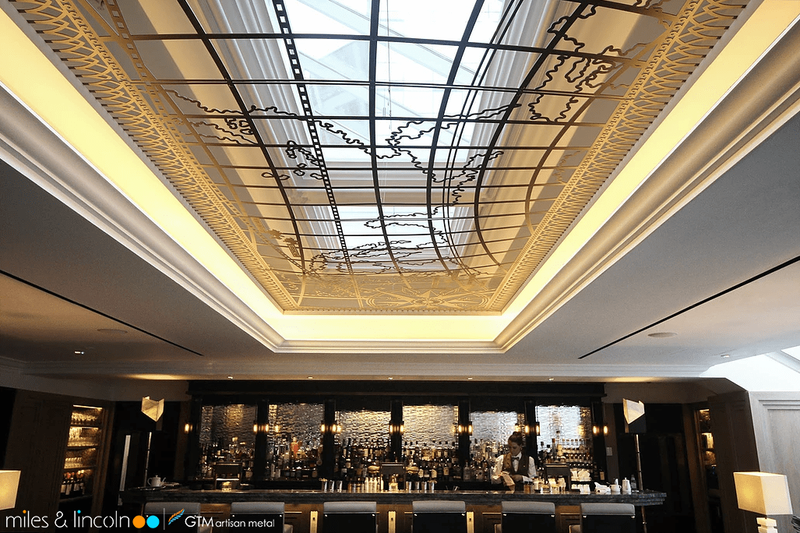 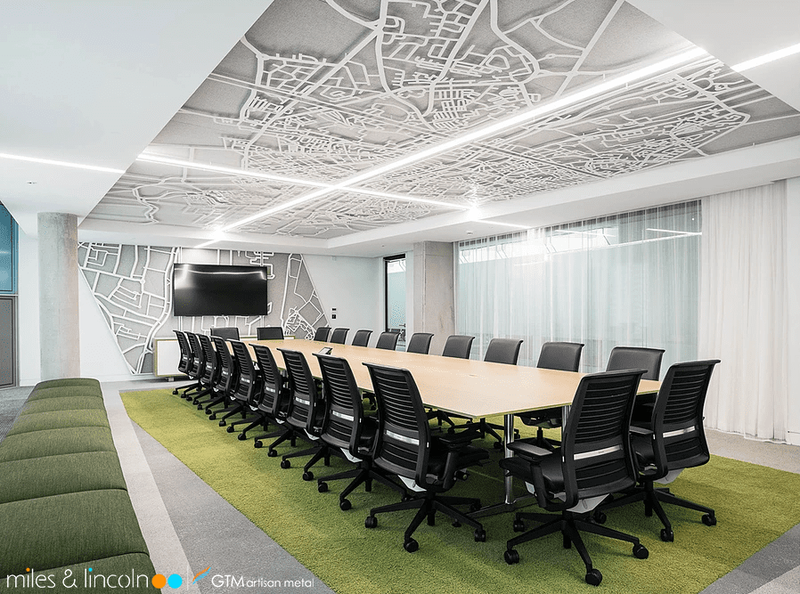 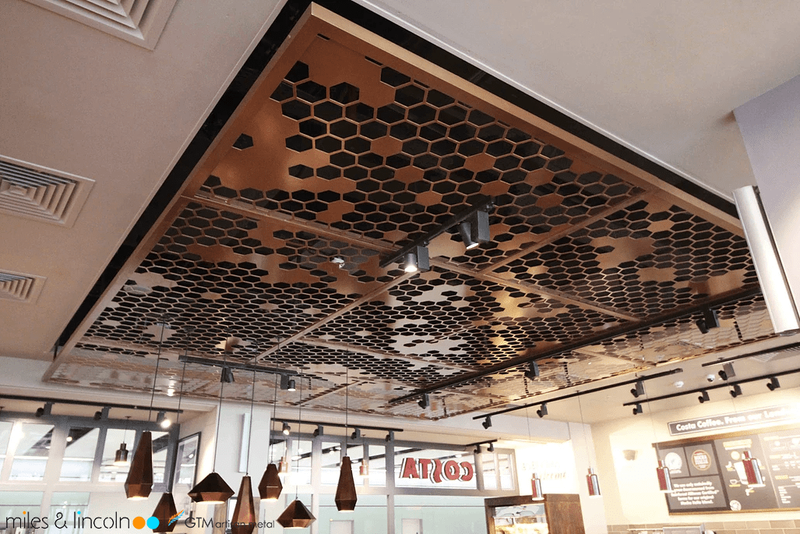 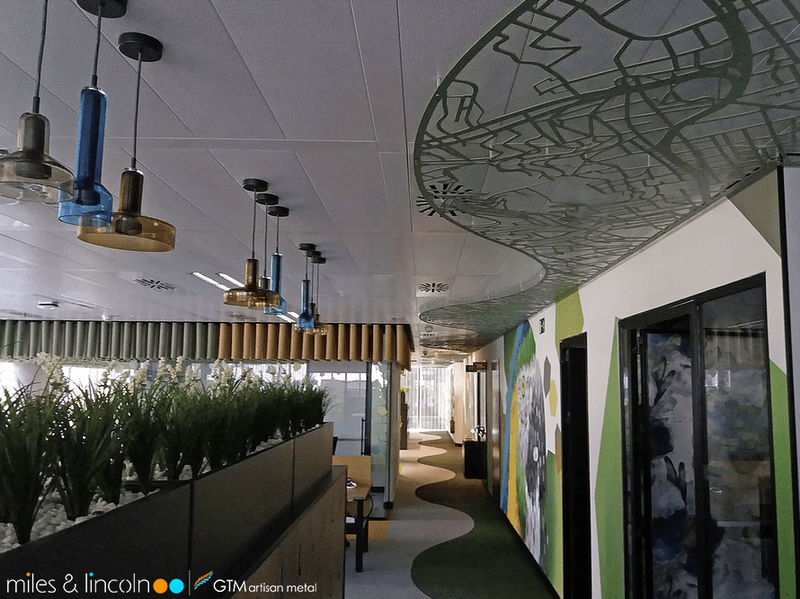 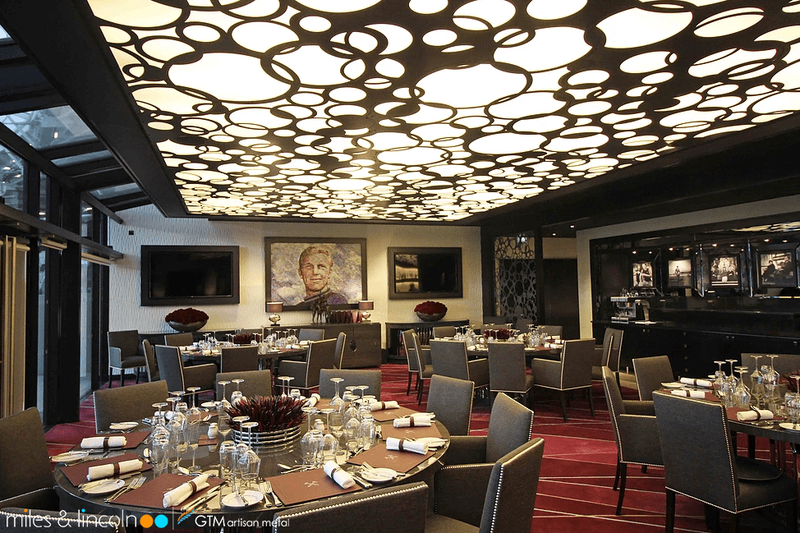 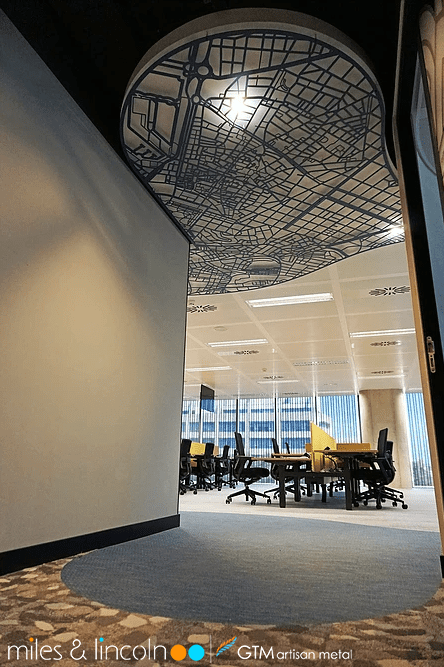 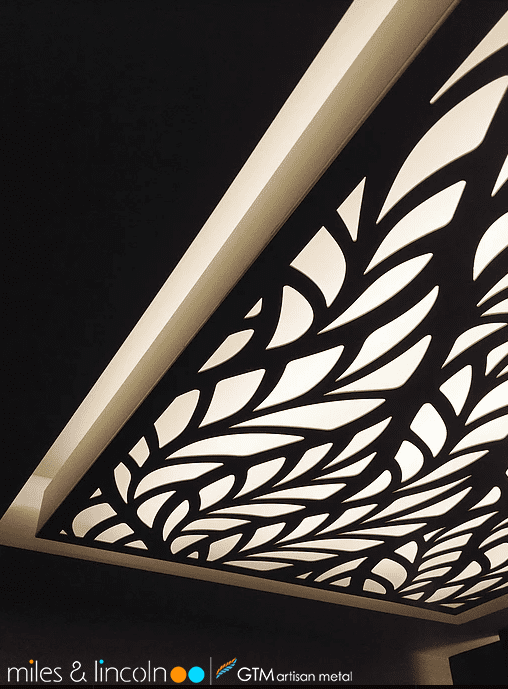 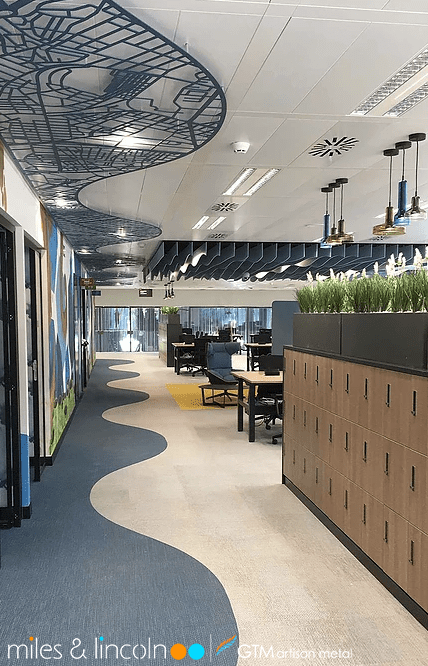 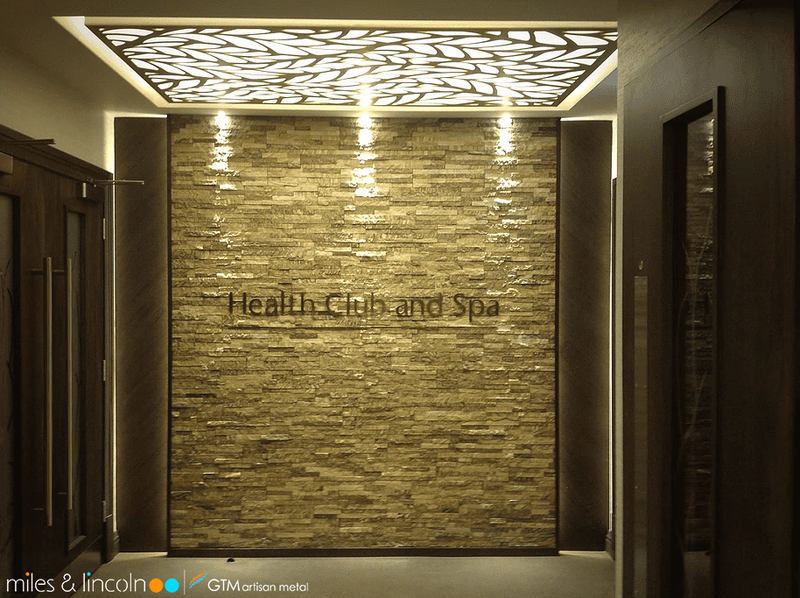 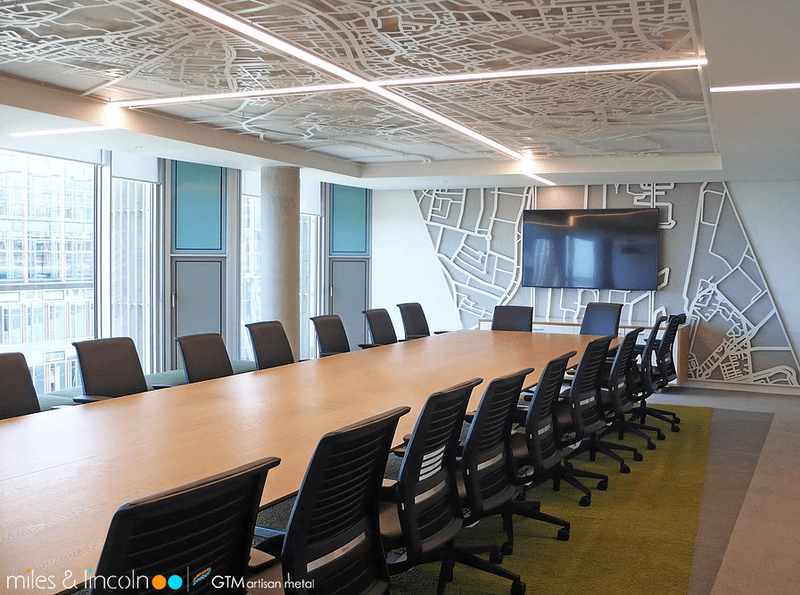 Suspended ceilings can be brought to life with decorative laser cut screens. 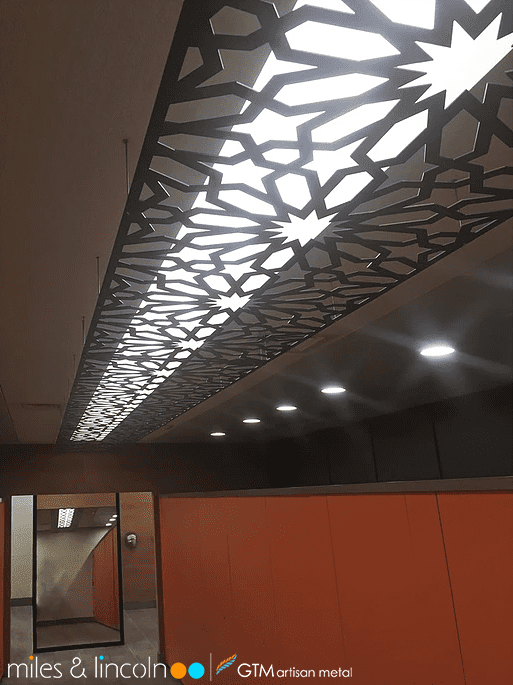 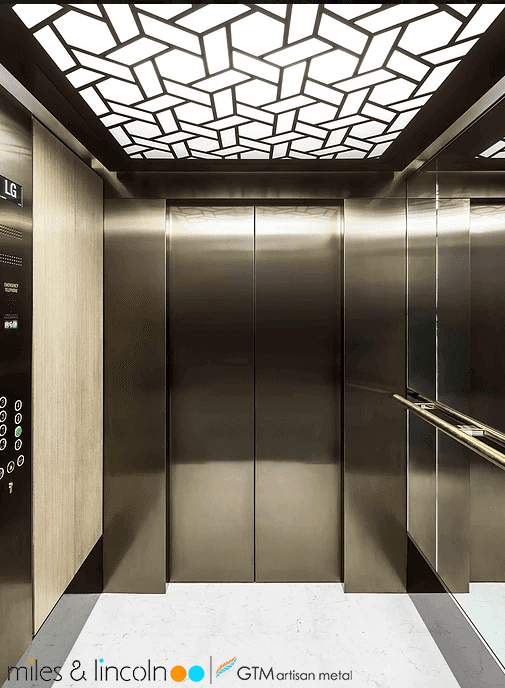 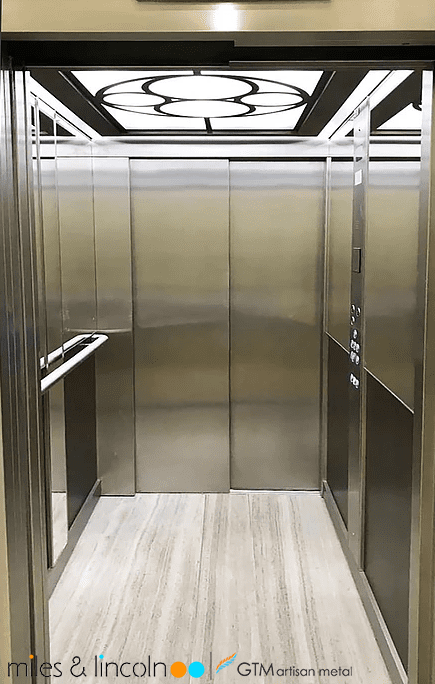 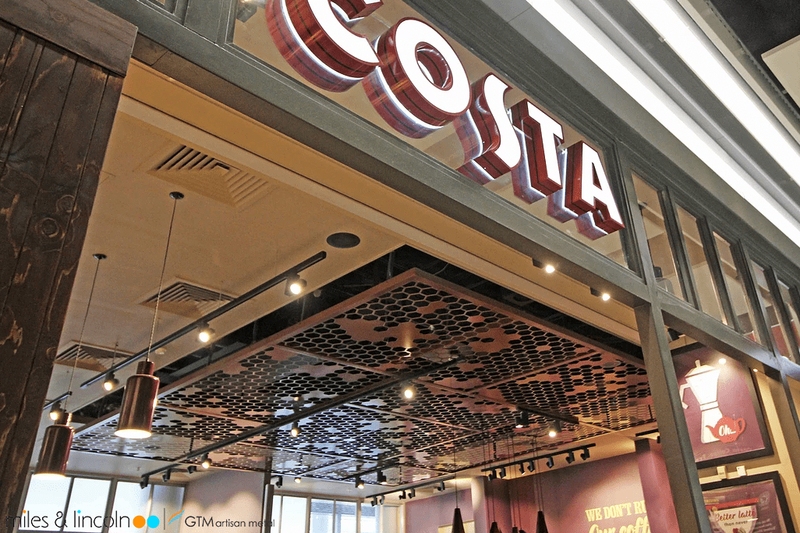 Installations with large areas can be constructed with our innovative use of ‘interlocking” designs, avoiding the need for perimeter borders or rectangular panels. 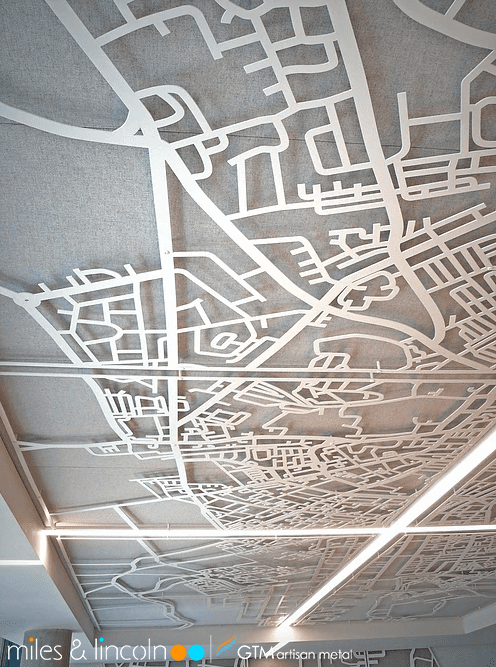 The suspended ceiling appears to be “seamless”. 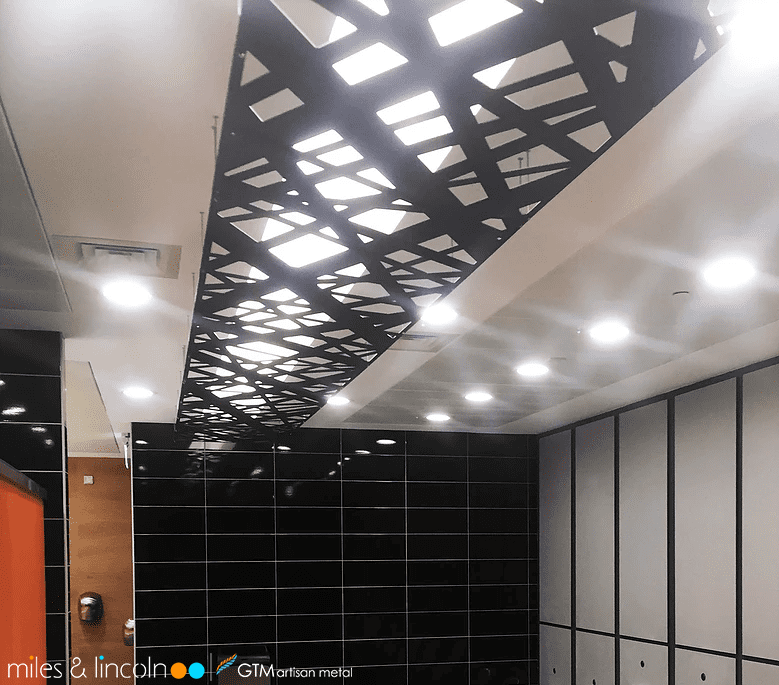 We have a great deal of construction expertise which makes installation simple and cost effective for all type of suspended ceilings. 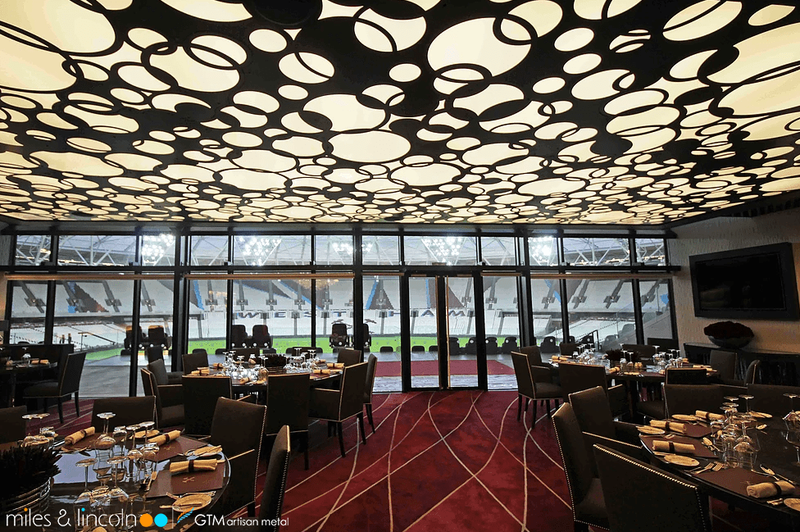 West Ham United - Directs Suite.